GILBERT, S.C. (AP) — A South Carolina Boy Scout troop discovered its trailer holding thousands of dollars’ worth of camping gear was stolen, and the Louisiana Cajun Navy stepped in to help. 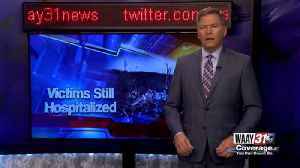 WLTX-TV..
▶ Videos for "Cajun Navy"
Sydney Martin reports on the Cajun Army who is helping clean up in the shoals after flooding. President Trump praised the Cajun Navy during a visit to North Carolina. But federal emergency managers say volunteers can put themselves and others in danger if they don't go through proper channels. A group of volunteers known as the Cajun Navy traveled to North Carolina to help in rescue efforts after Florence. "CBS Evening News" anchor Jeff Glor explains how they're helping those in need. The Newport, North Carolina shelter had a collapsed roof and about an inch of water, USA Today reports. The Cajun Navy and AccuWeather storm chaser Reed Timmer team up to help people affected by Hurricane Florence. NPR's Scott Simon asks Todd Terrell of the volunteer rescue group the Cajun Navy about his group's response to Tropical Storm Florence. A volunteer organization called America’s Cajun Navy says it's sending more than 1,000 people to North Carolina, South Carolina and Virginia ahead of Hurricane Florence. "To have something dedicated to her that would help others is amazing," said Kerald Smith, Thibodeaux's close friend and ex-husband. Sadie Thibodeaux, 32, has been missing in Lake Pontchartrain for roughly two days. BATON ROUGE, La. (AP) — A Louisiana man who founded Cajun Navy 2016, a volunteer flotilla renowned for responding to natural disasters, has been arrested on a charge he defrauded a customer who hired..
Jon Bridgers, 47, of Walker was arrested Wednesday (May 16) after he reportedly failed to complete work on the flood victim's home, according to WAFB-9. Trump labeled Scalise the "legend from Louisiana." Jon Bridgers will be in the audience for Trump's first State of the Union. Krewe of Orpheus is also inviting families of members to partake in the parade. Facebook founder Mark Zuckerberg met with state officials and academics in Delaware on Monday to discuss emergency response for natural disasters. The social media leader met with Gov. John Carney,..
Vista College CEO Jim Tolbert rallied the campuses, drove the truck across the state to pick up the donations, and coordinated delivery by program directors to Beaumont Beaumont, TX (PRWEB)..
Travel Leaders Travel Agents Assist Consumers Impacted by Severe Storms New York, NY (PRWEB) September 21, 2017 When massive hurricanes – such as Harvey, Irma and Maria – hit, the impact can..
After J.J. Watt hauled around a dozen trucks of supplies down to Houston from Wisconsin to help with Hurricane Harvey relief, Adam Wright, 39, offered a parking spot. Wright's company — Lightning.. The all-of-the-above aid response – from the National Guard to the Cajun Navy – exemplifies a post-Katrina template for what the nation's top emergency managers call a 'whole-community' response. A free walkie talkie app has shot to the top of the App Store as the Caribbean and southern US prepare for Hurricane Irma. 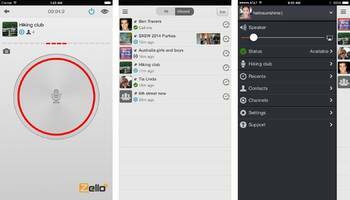 The app, called Zello, lets you use your phone as a walkie talkie or.. Here's a look at some of the top commentary, analysis, and observations from NOLA.com Sports stories this week. Authored by Carey Wedler via TheAntiMedia.org, Though the Red Cross has a historical reputation for providing relief to victims of natural disasters and other emergencies, *the organization’s.. 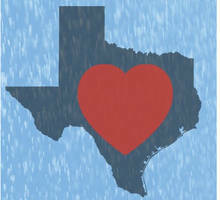 The president and the first lady will be visiting Texas and Southwest Louisiana. How the simple push-to-talk app has become the 'go-to' tool for the Cajun Navy and other volunteer rescuers in Texas. Harvey is weakening, but the deadly storm is still causing misery across an ever-widening area. Volunteers known as the “Cajun Navy” are lending a hand. Here are the stories you shouldn’t miss.. In no other place in America would there be a traffic jam like this. 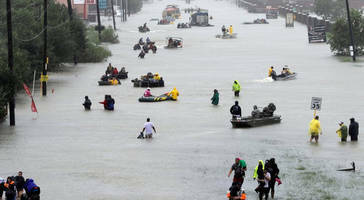 On U.S. 90 east of Houston on Wednesday morning, hundreds of trucks, many of them towing boats, were in bumper-to-bumper traffic.. Authored by Daisy Luther via The Organic Prepper blog, While it’s true there are a lot of stories about division and heartlessness, *there are many stories coming out of storm-torn Texas that will..